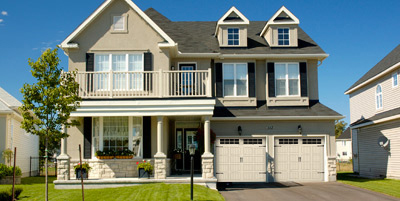 Did you know that replacing your garage door is the least expensive way to significantly improve your home’s curb appeal? Contact our professional sales staff today to find the style you are looking for and receive a free estimate! Whether you’re building a new home or updating an existing, we are here to help you choose the right garage door, opener and accessories for your needs. Feel free to stop by our showroom to see the all of the options available. 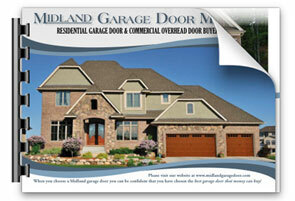 We are the local dealer for Midland Garage Door Manufacturing Company. Midland’s top of the line quality constructed insulated Raised Steel Panel garage door is built for years of dependable and reliable service. 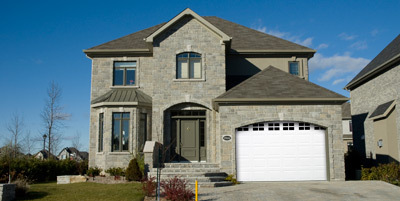 The 2” is Midland’s best residential insulated steel garage door. The Valuecraft and Valuecraft Plus Raised Steel Panel garage door offers the perfect combination of beauty and economy; with many of the features found in models that are far more expensive. Journey back to a time when style and charm ruled the day. Midland’s Carriage Panel design option brings a touch of class and elegance of those days gone by, along with state-of-the-art manufacturing. Midland’s distinctive Ranch Panel design option offers a unique and charming Long Panel design that will surely add to the curb appeal of your home. 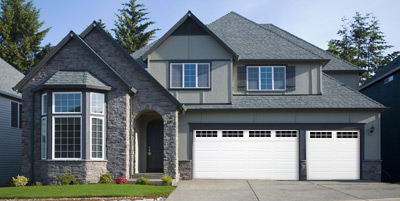 If you don’t see exactly what you are looking for and have a distinctive design in mind, we offer a variety of custom garage doors including Midland’s 2” Smooth Overlay, 2" V-Groove Overlay and 2" Steel Overlay, and Clopay’s Gallery and Coachman Collections. Contact us to discuss your ideas and the custom options available. 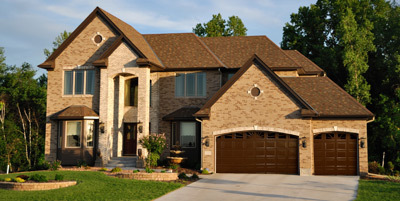 We are an authorized dealer for the World’s # 1 Installed Garage Door Openers, LiftMaster® by Chamberlain®. The standard 1/2 HP chain-drive models come with a Multi-Function Control Panel for mounting to the wall in the garage, a 1-Button Remote Control with rolling code technology, and safety sensors that reverse the door automatically if the infrared beam is broken. They also have 100-watt lighting and 4-year motor warranty. The 3/4 HP chain-drive model comes with a Smart Control Panel with a motion sensor, a 3-Button Premium Remote Control, and safety sensors that reverse the door automatically if the infrared beam is broken. This LiftMaster® Elite Series opener also has 200-watt lighting and a lifetime motor warranty. LiftMaster’s® Residential Jackshaft Opener comes with a Smart Control Panel with a motion sensor, a 3-Button Premium Remote Control, and safety sensors that reverse the door automatically if the infrared beam is broken. This wall-mounted, space-saving opener also has 200-watt lighting and a lifetime motor warranty. The new DC Battery Backup Chain-Drive opener comes with a Motion Detecting Control Panel, a 3-Button Standard Remote Control, and safety sensors that reverse the door automatically if the infrared beam is broken. This LiftMaster® Premium Series opener is equipped with MyQ™ technology which allows you to control and monitor your garage door and house lights from anywhere in the world via your computer or Internet-enabled mobile phone, when paired with other MyQ™ enabled accessories. Consuming up to 75% less power in standby mode, this opener’s operation is very energy-efficient. It also has a lifetime motor warranty, 1-year parts warranty, and 1-year warranty on the Battery Backup battery. For more information on these and other LiftMaster® products, or to see first-hand how the MyQ™ technology works, please give us a call or stop by our showroom.